There is no question that Human Resource Management Systems, (HRMS) are an essential tool for any company's HR department. The advantages of automating mundane tasks such as onboarding, outfitting and monitoring of sick days, holidays and so forth, provide both financial rewards and corporate culture enhancement. The advantages also include freeing up vital resources to address workforce engagement and retention as well as to develop initiatives to enhance morale and reduce absenteeism. Sounds Great! So what's the problem? There is a creeping fear among some workers, however, that the successful implementation of an HRMS may encourage more and more automation and eventual roboticization of, not just their jobs, but of their humanity. As chip technology becomes more pervasive, companies may be tempted to use coercion or contract to force employees to have a computer chip installed in their body for monitoring purposes. Not only is this technology coming, but in some businesses, it's already here. There are companies in Sweden, for example, who operate within a start-up business hub known as Epicenter who are already using chip technology on their employees. So far the staff members must be willing to volunteer for the chip installation (and get a staff party out of the deal) but many are concerned about "slippery slopes" and "thin edges of wedges". Will what was once voluntary become mandatory? What should businesses be allowed to monitor on their staff? Their location? Their weight? Their DNA? Luckily, in the Swedish example, the computer chips are only for such conveniences as opening secure doors, operating chip-enabled printers and buying refreshments from the company cafeteria. This is not much different than current employee card models. Even still, only about 150 out of 2000 Epicenter employees have signed up for the supposedly painless, grain of rice-sized microchip injection, which is inserted between the thumb and forefinger. Whatever concerns folks may have about the injections are brushed off by Epicenter CEO, Patrick Mesterton. An article in CPA Magazine, published online for Canada's accounting Industry, quotes Mesterton as saying, "[The chip] basically replaces a lot of things you have, other communication devices, whether it be credit cards or keys. (...) People have been implanting things into their body, like pacemakers and stuff to control your heart. That's a way, way more serious thing than having a small chip that can actually communicate with devices." 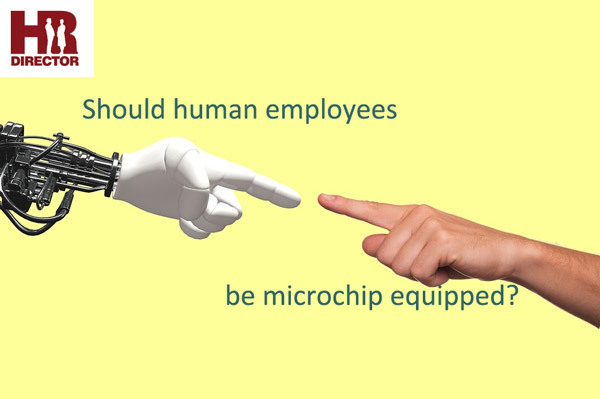 Although HR departments in North America are using a "wait and see" approach before taking on the legal quagmire that will surely follow this initiative, microchip technology is still flourishing in many strange ways. In fact, according to this report manicurists in England are using chip technology as part of their nail designs. 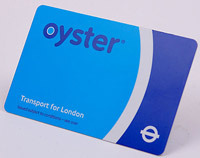 They use microchips removed from bus pass passes which allow the wearer to gain access to the London Transit System, known as "the Oyster", and apply them to the nail which is then coated in polish. How handy it would be to open London Tube doors with a flash of a finger! The Future of Injectable Chips? We have all become accustomed to distrusting online privacy. Even before Edward Snowden blew the whistle on NSA surveillance of the internet, most web users had no expectation of being under the radar while online. What many are worried about, however, is the same lack of privacy in our offline life. In fact, American news magazine, Business Insider, did a story on Nordtrom's attempts to track customers in their stores using the wifi signals from their shoppers' electronic devices. Nordstrom's could track where the customer was at any moment, what they looked at, how long it took to make a buying decision and many more invasive details. It all came to a screaming halt the moment they put up signs warning customers they were being tracked. The backlash was swift and strong. As chips become as common as cell phones, it may be necessary to expand the role of current HRMS to accommodate the new information that may be gleaned from chip-wearing employees. Location information may sound dystopian but many employees already have GPS technology installed on their vehicles and phones. The question isn't whether this technology will take over but when? Until that day, however, it is still imperative to automate HR as much as possible through the use of workforce management software. It is acknowledged throughout the industry HR departments without automation worry more about their resources than they do about their humans. Prepare for the Future with HR Director workforce management software; an exclusive product from INM.